NOW AVAILABLE! 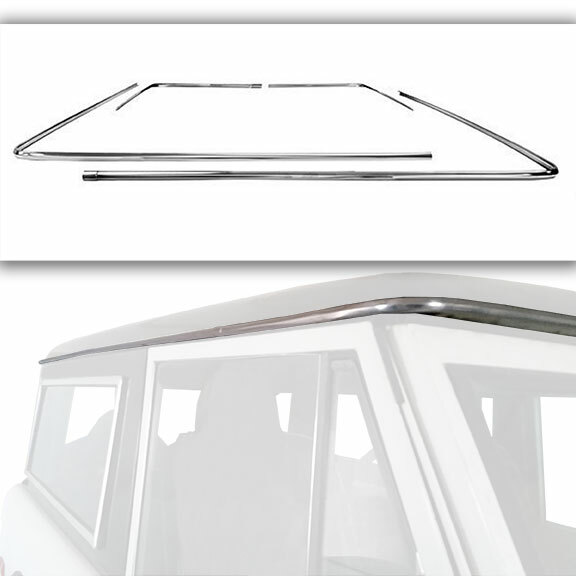 New Hard Top Driprail Chrome Trim for your 66-77 Ford Bronco. This is the same trim that would have mounted on the factory hard top on Bronco Sport models. The trim wraps around the full driprail on the hard top. This trim is a bright anodized aluminum trim just like the factory original. Fits 1966 to 1977 Ford Broncos. *NOTE: This item is bright anodized polished aluminum just like the factory original. We call it hard top chrome because that is what people generally refer to it as, but it is not actually chromed.